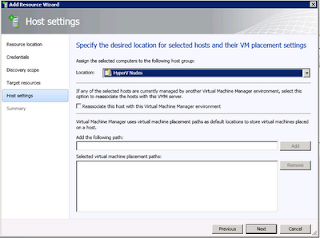 Several new deployment options in VMM 2012 make the life of an IT-pro a bit easier. 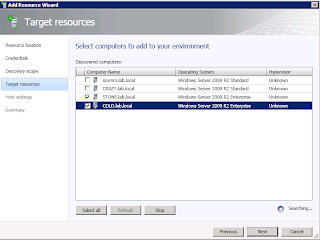 VMM 2012 promise a much deeper cluster integration than VMM 2008 R2 provided, and I wanted to test the entire process, from creating Hyper-V hosts, to create a Failover Cluster – everything from my VMM 2012 server. 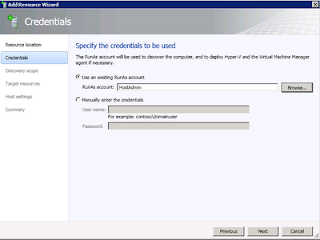 This post will cover the process of how you enable your physical servers for virtualization. 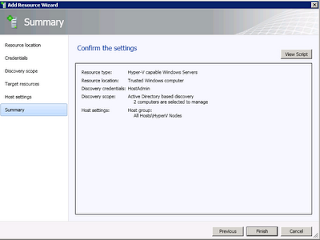 (Info: In VMM 2012, you are also able to do a bare metal deployment of your Hyper-V servers, but I won’t cover it here in this post). There are 4 NICs pre-configured on the servers, and both servers are joined to my domain. Both servers are connected to the iSCSI-target (used for CSV in my lab). 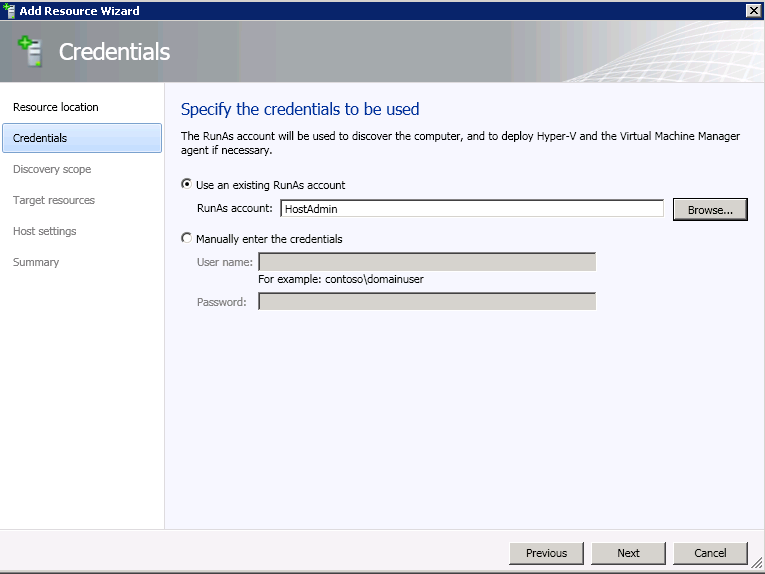 I`ve created a RunAs account in the ‘Host computer’ category for managing my physical servers. 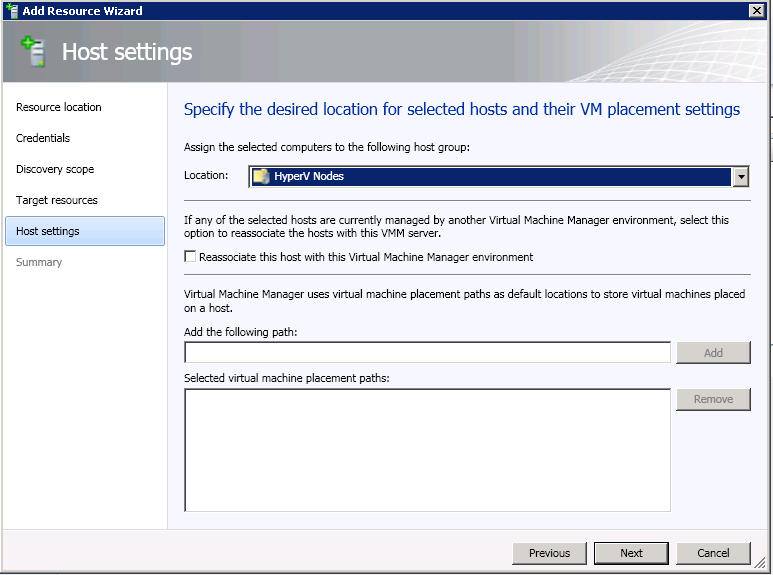 If you`re most likely to have many Hyper-V servers, you should try to segment them into logical groups in VMM 2012. 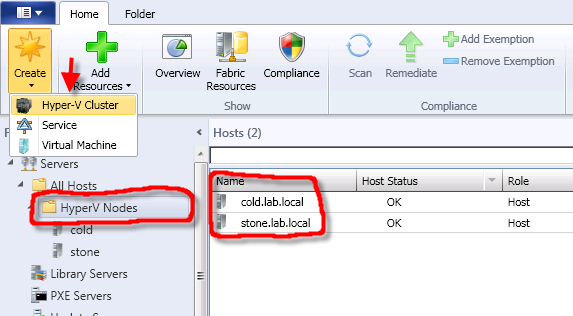 I`ve created a host group called Hyper-V hosts in my VMM server; this is where I want to place my two physical Hyper-V host in this process. 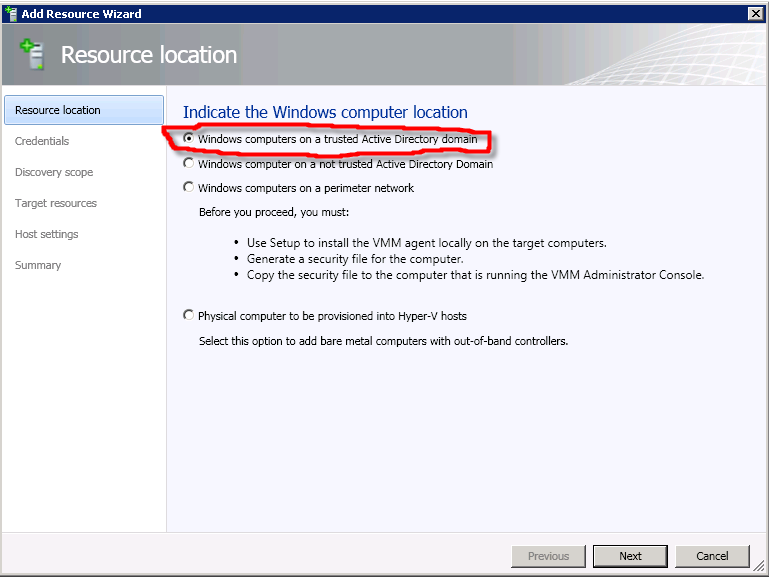 Since both of my servers already have joined my domain - the same domain where my VMM2012 is located, I would select the 'Windows Computers on a trusted Active Directory domain' option. magic that are going to happen. 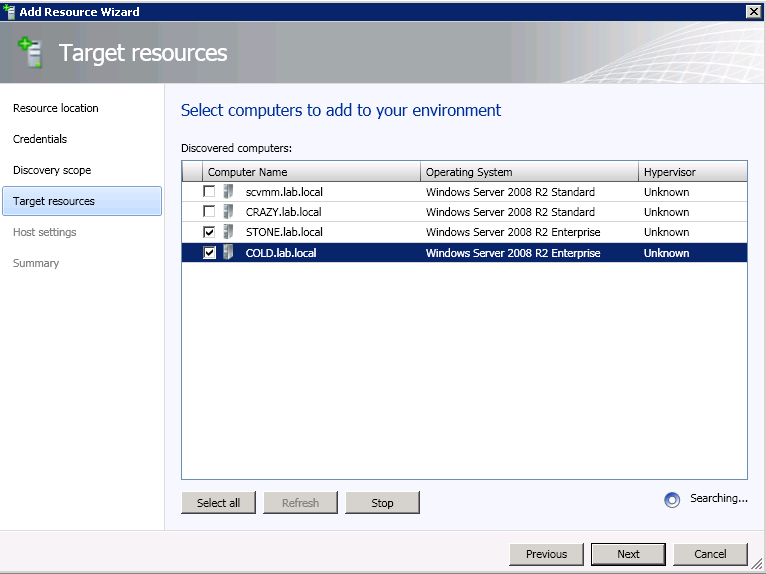 I add an Active Directory query, to list all the available physical servers in my domain, and select the hosts I would use for Hyper-V virtualization. 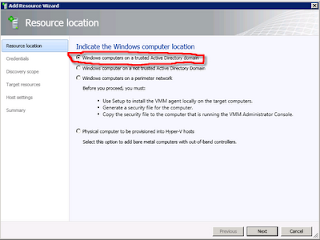 You`ll be prompted with a message indicating that if the Hyper-V role is not enabled on the servers, it would go ahead and do it for you. It would also require a restart of those servers. I am placing my servers in the dedicated host group in this step, and leave the other options blank, since I intend to build a cluster in step 2. 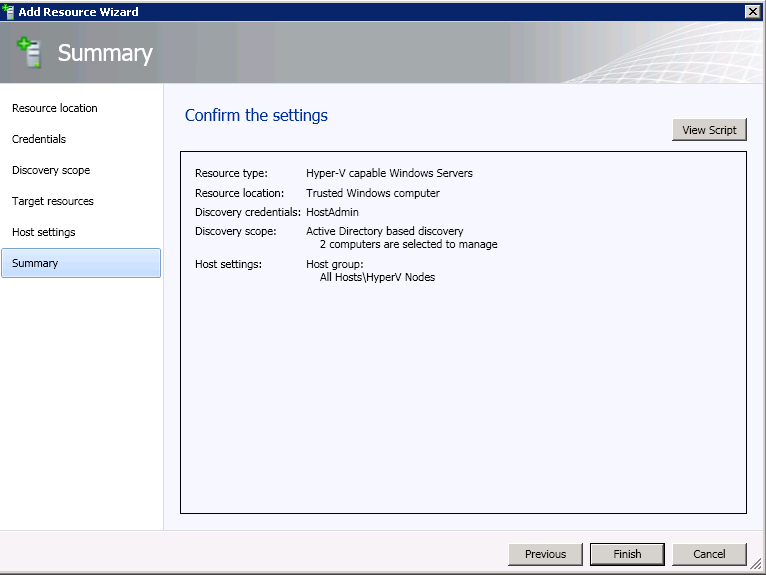 The summary summarizes the steps you`ve done, and you`re ready to add your Hyper-V hosts to VMM 2012. 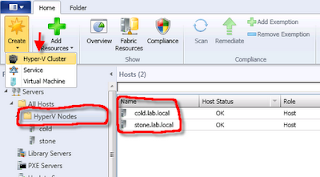 The new Hyper-V hosts are located in the hosts group in the Fabric. We are now ready to create a Failover Cluster.